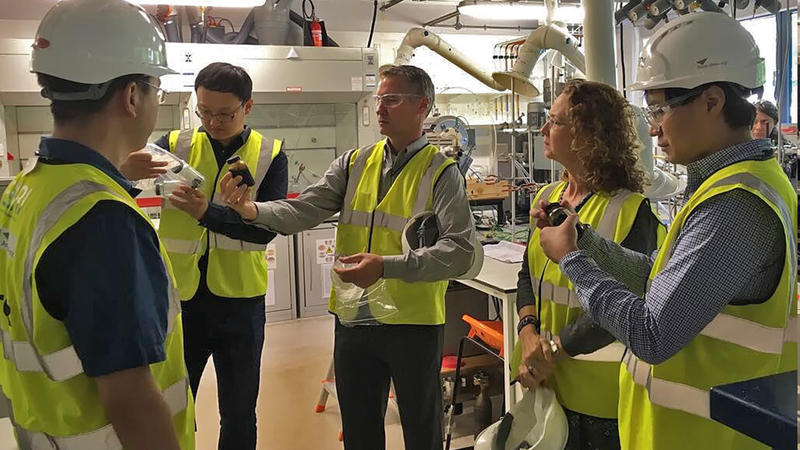 NCAT Director Randy West (center) tours the European Bioenergy Research Institute at Aston University as part of a two-week trip during his fellowship. 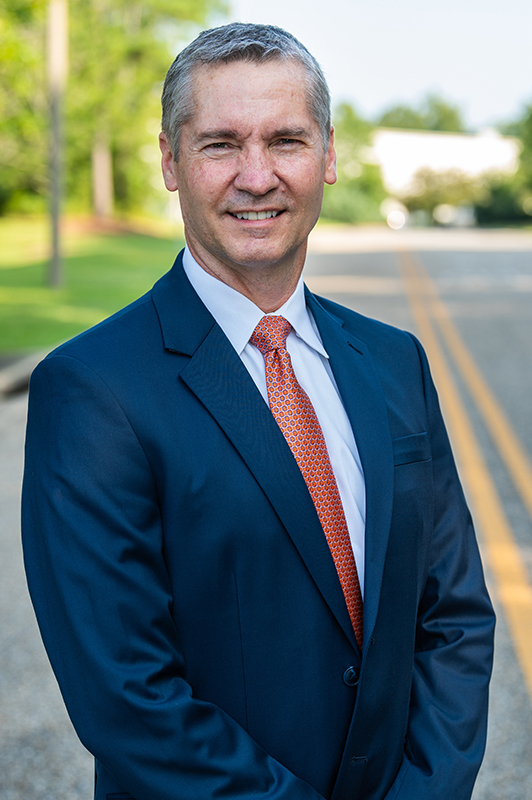 Randy West, research professor and director of the National Center for Asphalt Technology at Auburn University, was recently awarded a Distinguished Visiting Fellowship at the United Kingdom’s Royal Academy of Engineering. He is the first faculty member from Auburn to receive the recognition. The program enables academic engineering departments in the U.K. to strengthen their research and teaching capabilities and promote global collaborations by hosting international experts. As part of his fellowship, West’s two-week trip in July was hosted by Yuqing Zhang of Aston University in Birmingham, England. The visit included facility tours and discussions of future research opportunities with the Aston Institute of Materials Research and the European Bioenergy Research Institute at Aston University, the Nottingham Transportation Engineering Centre of the University of Nottingham, sustainable building materials and construction solutions company Tarmac Trading Limited and MacRebur Limited, a start-up company from Scotland that turns waste plastics into asphalt additives. At the University of Nottingham, West delivered a keynote lecture and discussed NCAT’s research evaluating sustainable pavement technologies and systems, preservation treatments and roadway safety enhancements. 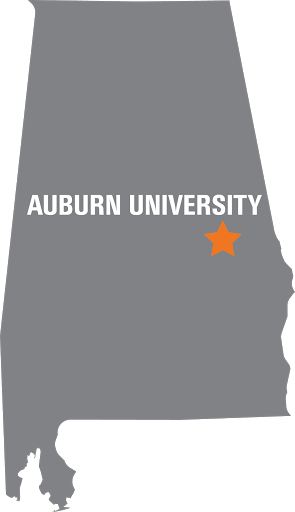 West earned bachelor’s and master’s degrees in civil engineering from Auburn in 1987 and 1989, respectively. He holds a doctorate in civil engineering from the University of Florida. He is a registered professional engineer in Alabama, Georgia and Florida and active in ASTM International, the Association of Asphalt Paving Technologists, Auburn University’s Geosciences Advisory Board and the National Asphalt Pavement Association. His research focuses on strategies for improving asphalt pavement sustainability, including the development of innovative asphalt materials, recycling technologies, accelerated testing and life-cycle cost analysis.